NORTH CAROLINA'S 1st BREWER WOULD BE PROUD OF THIS BEER! In tribute to the entrepreneurial spirit of Martin Munzler (NC’s 1st brewer), we created this crisp, satisfyingly smooth lager with a slight toastiness courtesy of darker malts typical in Munzler’s era. 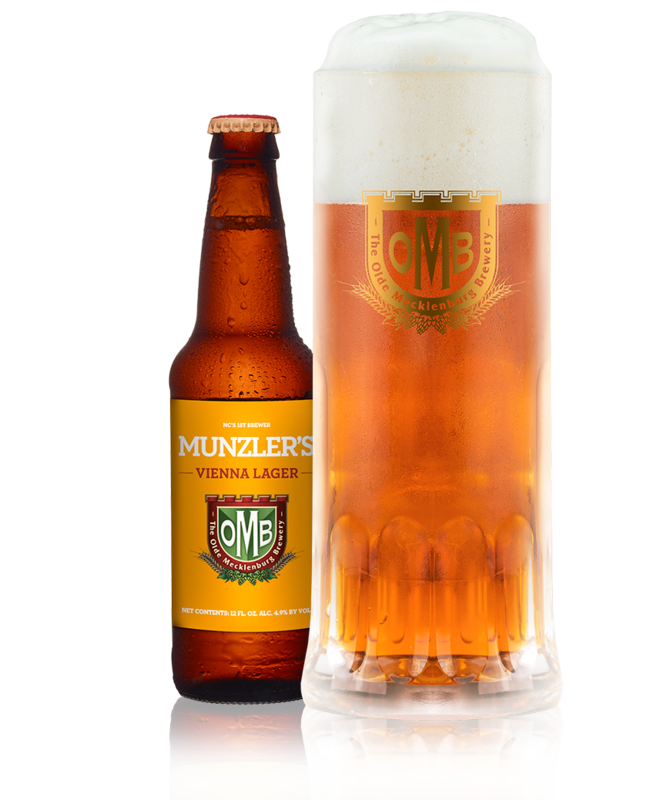 Just like Munzler promised in his first newspaper advertisement in 1860, OMB is always “prepared to furnish you with beer of first-rate quality.” Prost!